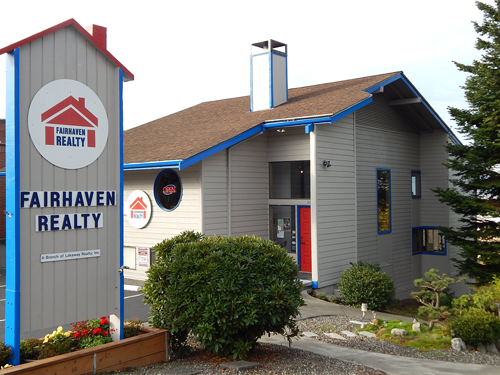 Fairhaven Realty has been in business since 1972 and located in Fairhaven for that length of time. Our sales range from all over Washington State. We have buyers & sellers from throughout the world. We have contacts with many Canadian real estate firms and have generated referrals with them. We are a well established office and have an excellent reputation. The majority of our brokers have years of training and expertise. We are able to meet the needs and expectations of buyers and sellers of all types of real estate property, whether it is residential, condos, commercial, income property, acreage, or other investments. Notary services available call “Ellen” for an appointment. The State approved Rockwell School of Real Estate is available through us. This provides training for new licensees and continuing education for experienced brokers. In short, Fairhaven Realty has it all. Stop in and pick up a map or give us a call. We appreciate your business and eagerly anticipate the opportunity to work with you. Call us at (360) 676-8990.